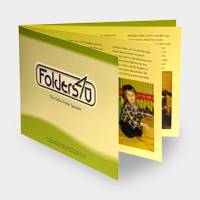 Folder brochures usually fall into the zero-rated category, because they contain stitched-in leaflets. 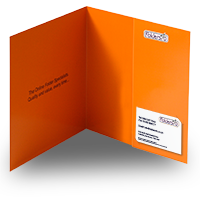 Only if the information in the leaflet is highly generic will they be considered stationery items. 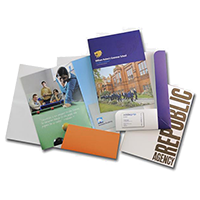 "Stationery items" is usually interpreted as meaning printed materials that are generic and can be used for varied purposes over a period of time. 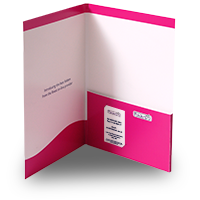 So for example, a folder printed with your logo, address and other contact details will be considered a stationery item, and subject to VAT. 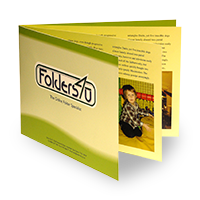 However, if a folder contains specific text and images relating to a certain one-off promotion or event, or contains particular information of limited shelf-life, it may be considered zero-rated. 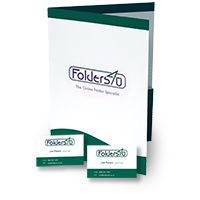 By default, we will charge VAT on folder products, except where otherwise indicated on the product page. 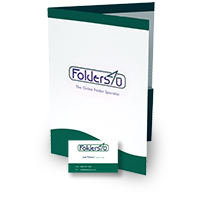 If you believe your folder should be considered zero-rated, please let us know before placing your order. 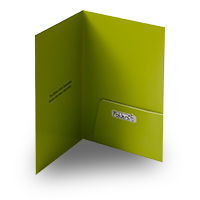 We will need to see your artwork before we decide whether or not we can treat your order as zero-rated. Legal disclaimer: this information is intended as a rough overview only. Please consult your accounts department or adviser for more detailed information.